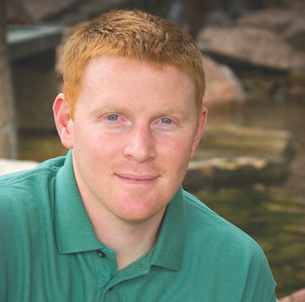 The sound of running water creates a relaxing environment in which to de-stress and unwind. 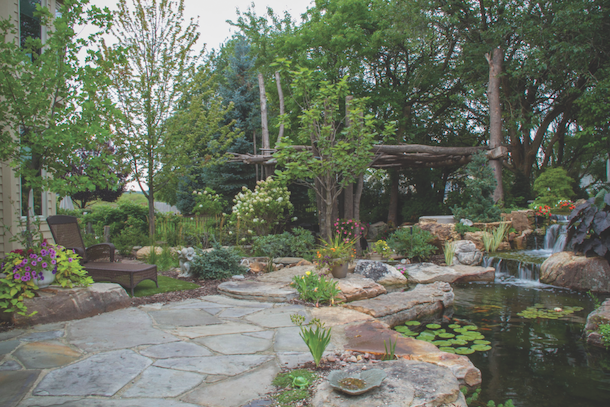 A naturally balanced ecosystem pond is truly low maintenance when it combines a proper mix of fish, plants, circulation, aeration, rocks, and gravel. 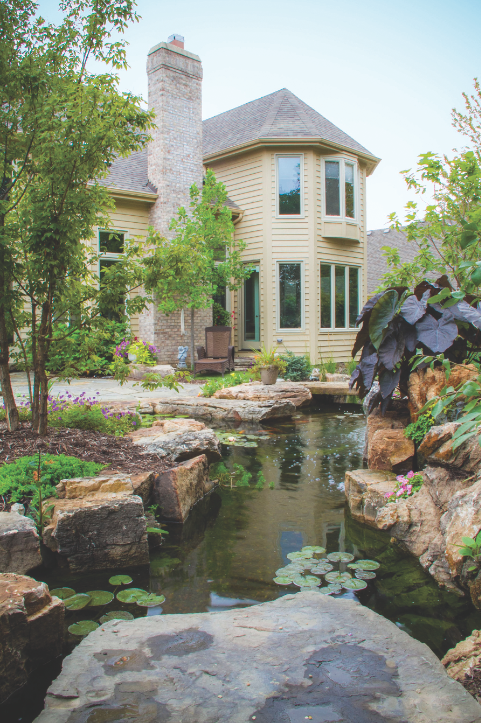 Whether it’s large and impressive, or small and charming, a pond can be scaled to any size landscape. 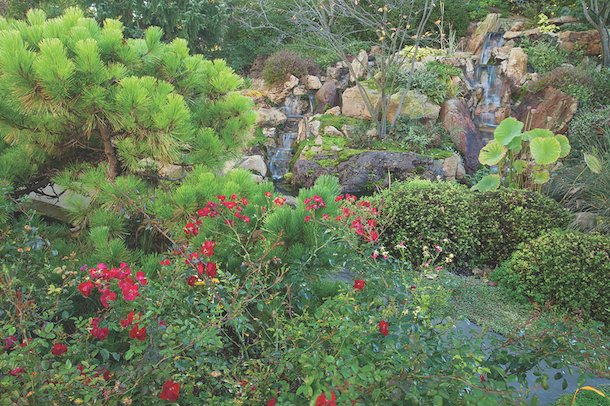 Pondless waterfalls omit the pond and provide melodic sounds, creating a perfect choice for masking traffic noise. 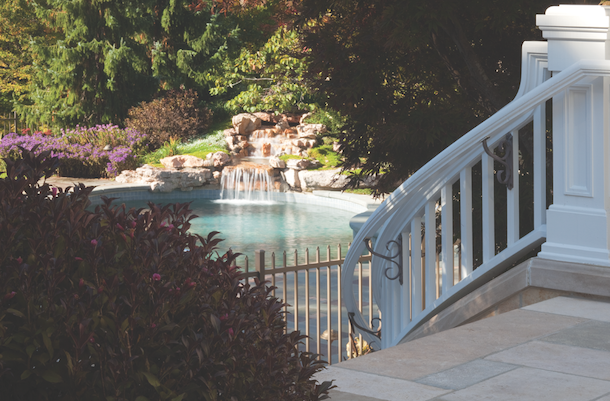 Fountains are available in a variety of styles and budgets, adding a welcoming landscape element near a front entry or tucked near a deck or patio in the backyard. 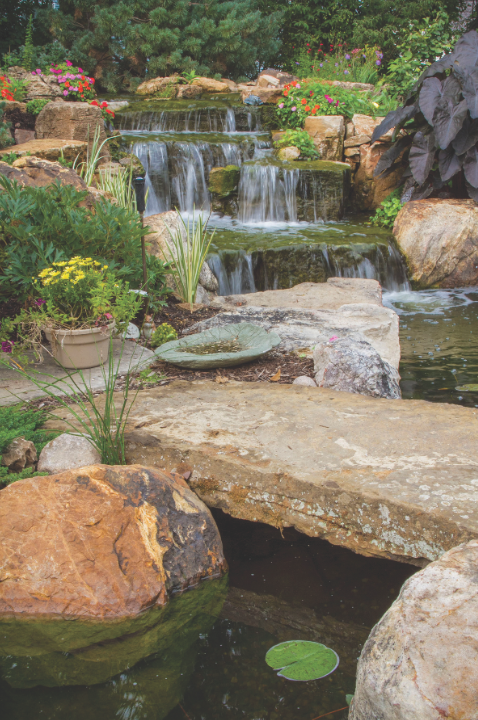 Water features are a perfect choice for nature enthusiasts as birds, frogs, butterflies, and more are attracted to the sight and sound of water in the landscape. 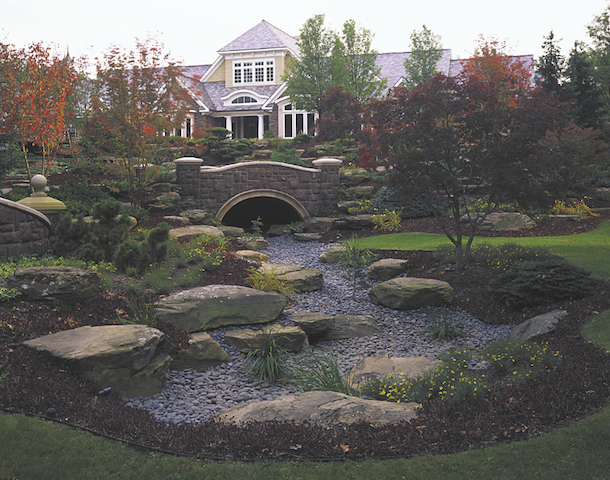 Coupled with hardscapes and architectural garden structures, the design options with water features are limitless. 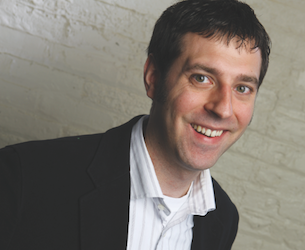 When integrated early in the design process, water features will strengthen design. The organic pool edge and planter areas soften the rectilinear-built forms and activate the environment. 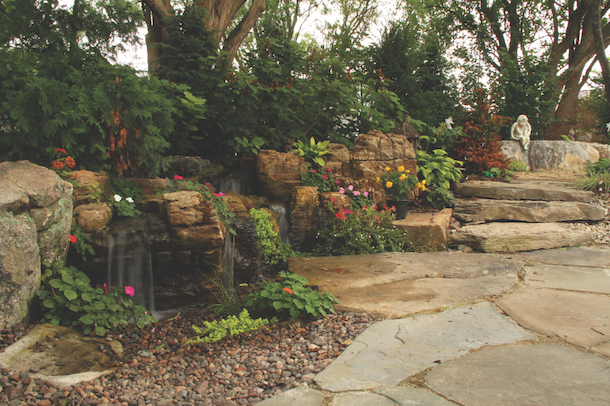 The same water feature uses a locally found boulder and incorporates a fountain element that can be set to high and low speeds to create a tranquil environment for resting nearby or an activated element for an entertaining atmosphere. 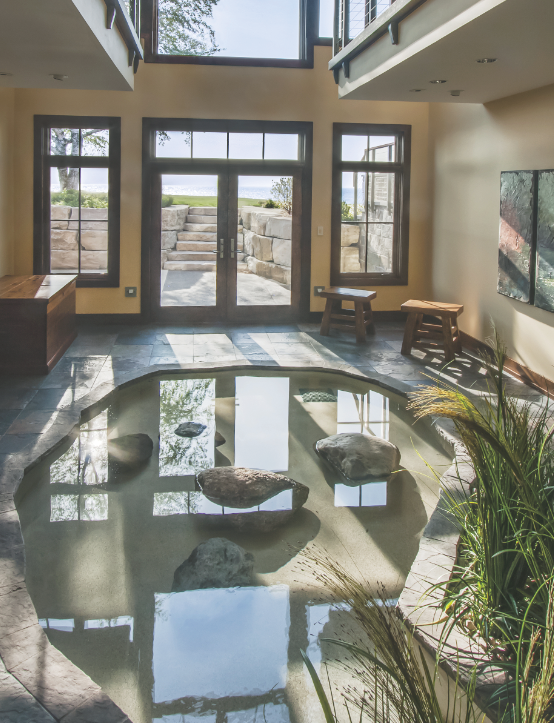 By adding water features to a project, the visual focus expands the horizon for the clients. The soothing sound of the water feature becomes an instrument to play in the chorus of nature. 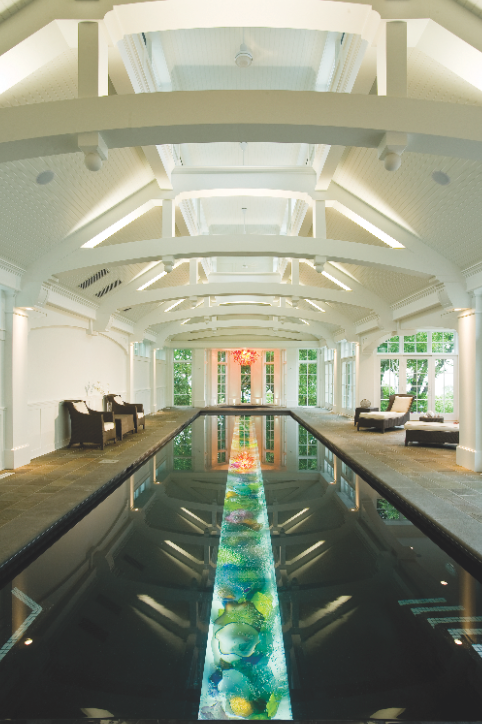 Organic blown glass in an illuminated trough transforms a lap pool into a piece of art. 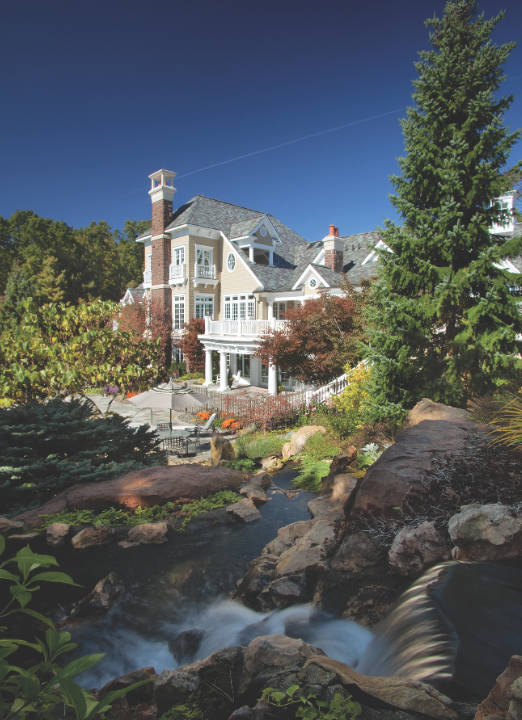 The overall design of Old Woods Manor includes significant water features such as a pool, hot tub, waterfalls, and small ponds. 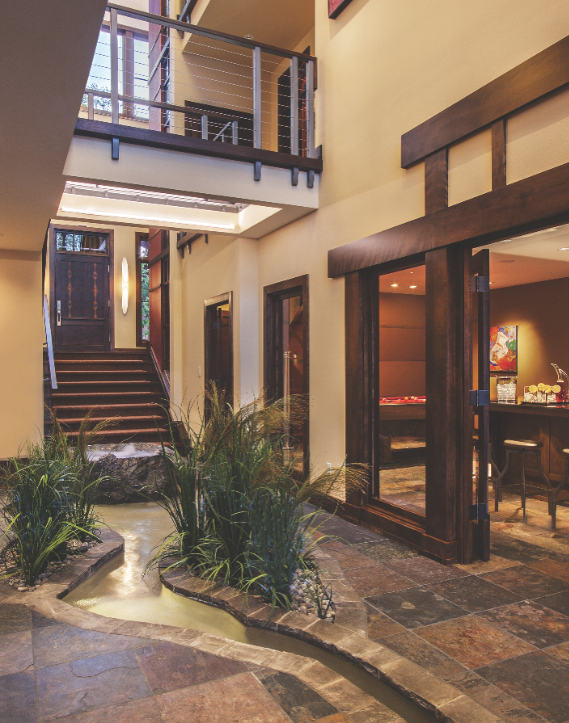 An innovative creek concept visually captivates the visitor by flowing from the front of the home to the entry gate, starting with a dry creek bed filled with smooth river-washed blue stones, followed by a false bridge to intersect the winding vehicular entry. 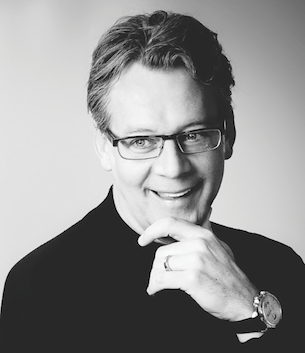 Homeowner maintenance was an important factor in design especially considering Michigan’s icy winter climate. A small pond, creek, and foot bridge are a part of the extensive landscape. The pond is the source for an 18-foot waterfall cascading through a labyrinth of stone, which culminates at the swimming pool. The walking path winds through the lush landscape, created by Windscapes Landscaping, promoting the interaction between the visual and physical experience. Comments on: "Design Spotlight: Water Features"